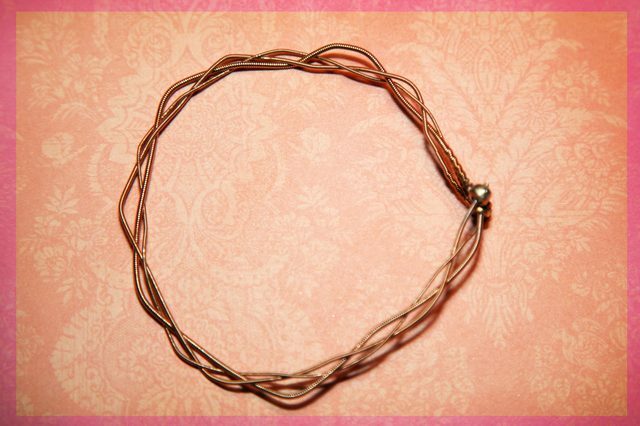 Among the several upcycled items you can make a host of jewelries with, the string of your old dilapidated guitar is one of them. 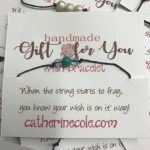 If you are immensely fascinated towards decorating your hands with colorful bracelets then take a sneak peek into the following DIYs and get a quick glimpse on the process of making guitar string bracelets of unique designs. The green beads complement the gold bracelet well. If you are going for a silver string then confine to white or golden stones for a stunning effect. 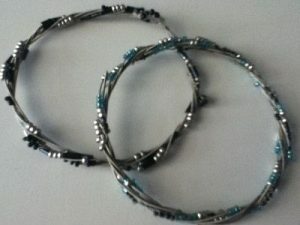 What more special can you gift your guitar-fanatic beau on Valentine’s Day eve than these rustic-patterned bracelets to give him a starry feeling. 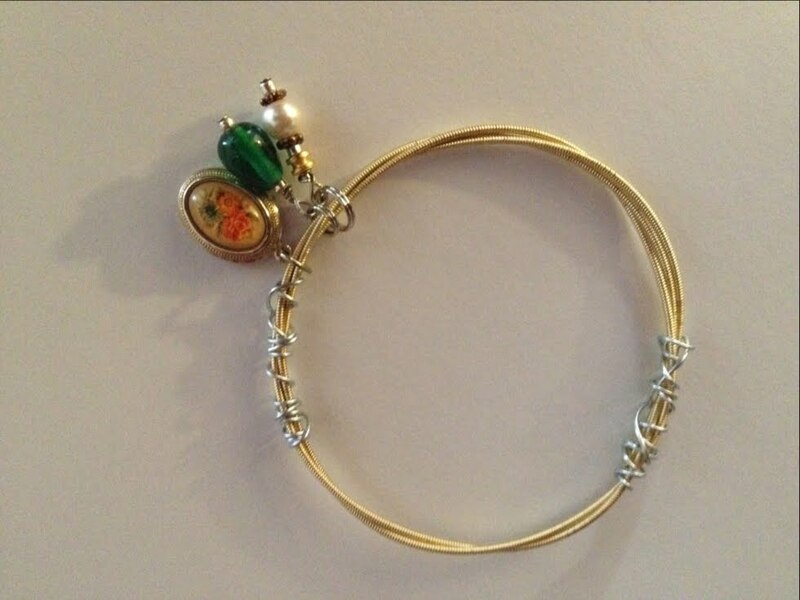 If you intend to make this as a Christmas gift then choose red and green charms or stones to attach to the bracelet. 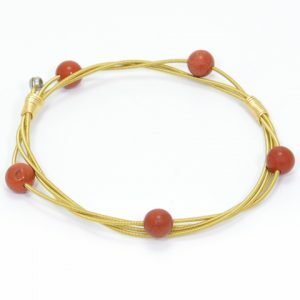 Though shaped as a bangle, this enticing piece of jewelry can be conveniently worn as a bracelet. 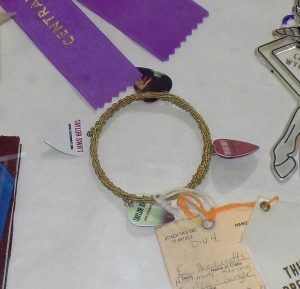 You can also add a special message to the picks attached to the bracelet for a personalized touch. 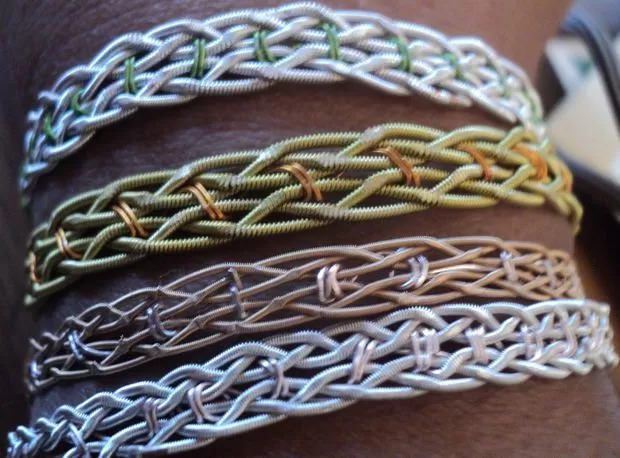 If you love experimenting with varied patterns then this braided design would be an interesting one for you to try. 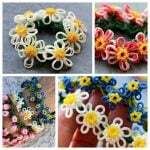 To make it look enticing, you may add small beads in between the braids. 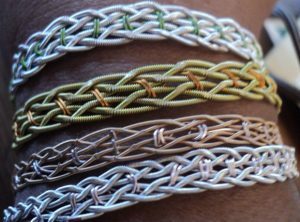 The braided bracelet pattern as shown in the tutorial would help you in making this stylish accessory in no time. 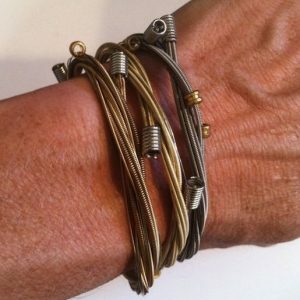 The wrap pattern of the bracelets gives it a cool, funky look. If you are a pro in guitar-playing just as the likes of John Mayer, Jack Johnson, Jimmy Herring, John Bell, or even the Phish band, then donne a stylish guitar pick necklace, get into a perfect rock star mood and set the stage on fire. 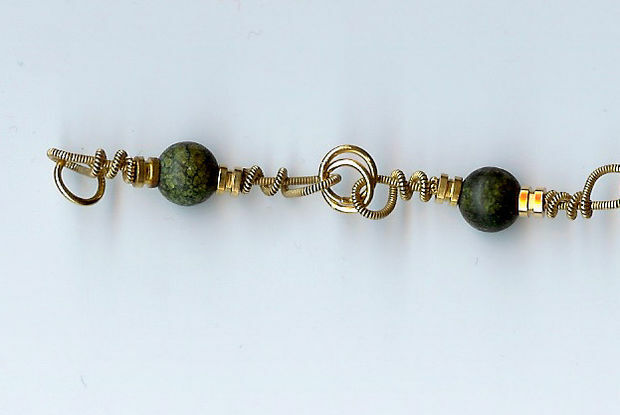 By taking a cue from the tutorials mentioned above you can make a sizzling bracelet by using a precious stone or gem, if you have managed to get hold of one. 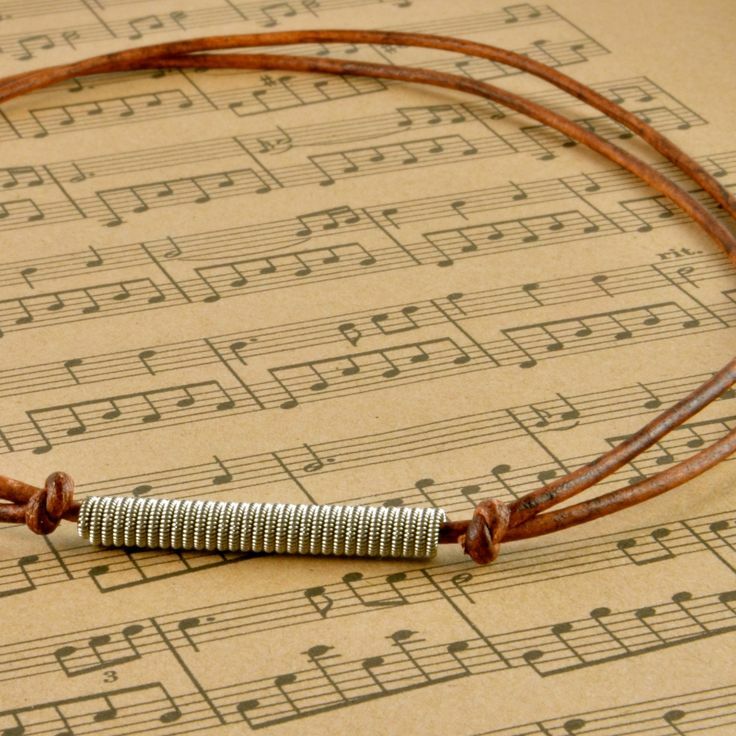 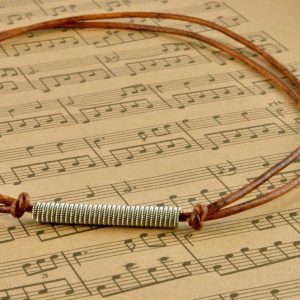 Another fabulous idea would be to make a base with leather and then wrap it with guitar strings as shown in the following image. 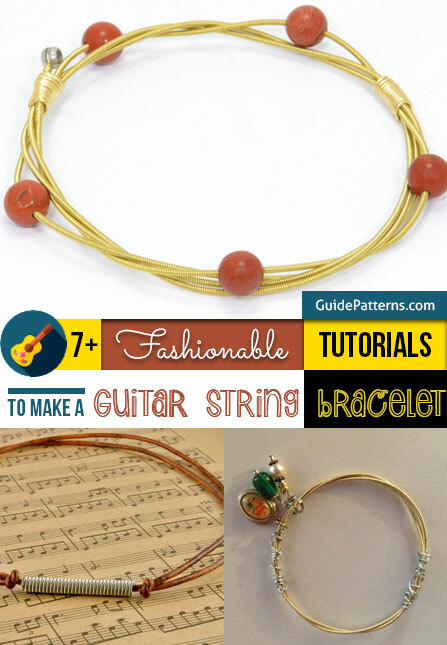 With a galore of these fashionable guitar string bracelets get set for a fulfilling experience and stuff your wardrobe with a host of these stylish jewelries. 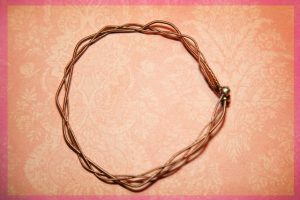 Apart from the strings of your old guitar, if you have some picks available then you may shape them into attractive necklaces or bracelets.